Photo taking nowadays become one of the daily things that we will do with our smartphones rite? We capture foods, beautiful views, peoples and we selfie. We try to capture down everything which means to us no matter where we are! But, I always feel getting problems and feel troublesome when want to print all the photos. P/s: I feel troublesome to pick and save the photos I would like to print into pendrive and give to the Photoshop and later when it's done I need to go back and collect it again. 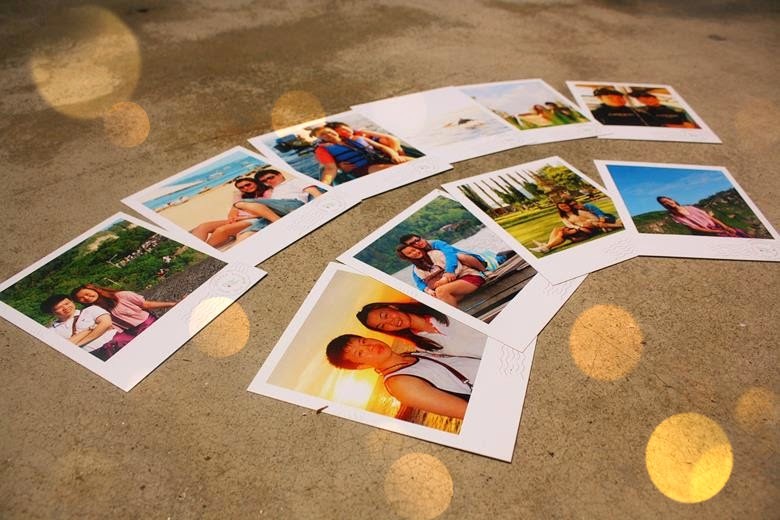 Even if we print it using machine, we also need to add and selects each photos one by one! Lazy! Guess what? I found a super convenience and user friendly apps which helps on solving all this problem and make photos printing become fun and fast! Printit apps available in IOS App Store and Android Google Play Store for download. 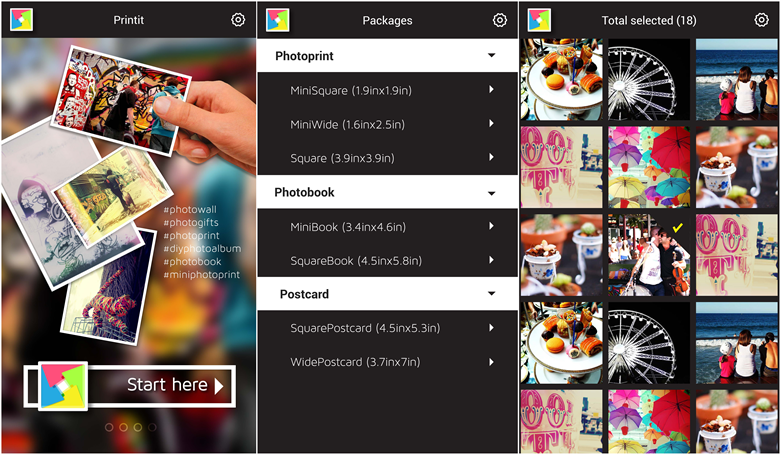 It helps to simplify the photo printing process and get it all done with your mobile phone! 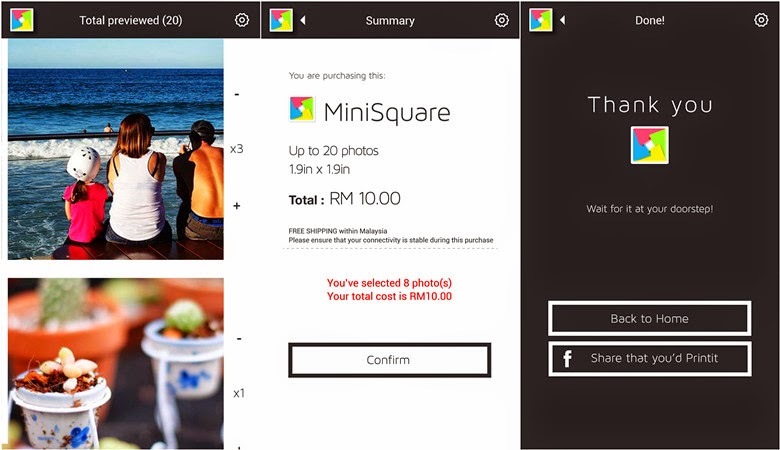 Install the apps, Select the packages you like to have, Pick the photos from your gallery! 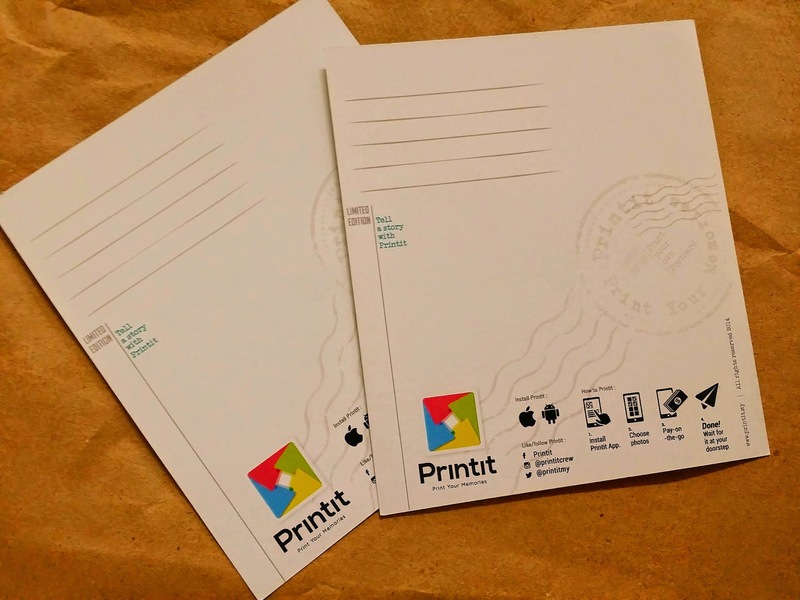 For your information, PHOTOBOOK & POSTCARD printing are the new products of Printit which will be launched on 1th of July 2014! Stay tune with them if you are interested to get it! Besides, in 1st of July the Printit Apps are launching in 60+ countries around the world and aim to share the joys to more and more peoples. Check out the Preview of the photos you choose, Proceed to payment and Submit! A few simple steps you can hold your precious moment in hand and stick them on your wall for decoration, your working desks or even keep in your wallet to bring your loved one together with you every minute! My precious memory with loved one! This is our first trip to Bali! 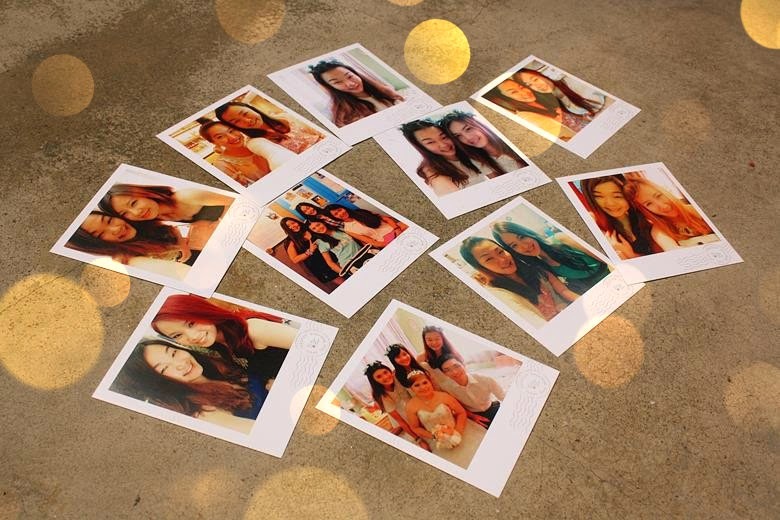 We capture a lot of photos and now managed to print it out in a Square Postcard size in 11.5cmx13. 5cm. Super good quality of the postcards and the color printed are sharp and nice! I start missing the days spend in Bali ! So happy that can share the fond memories with family members or friends abroad telling them how well we are sending them a postcards which might bringing them happiness and delighting their day. SHARE THE JOYS AND SHARE THE SMILE! 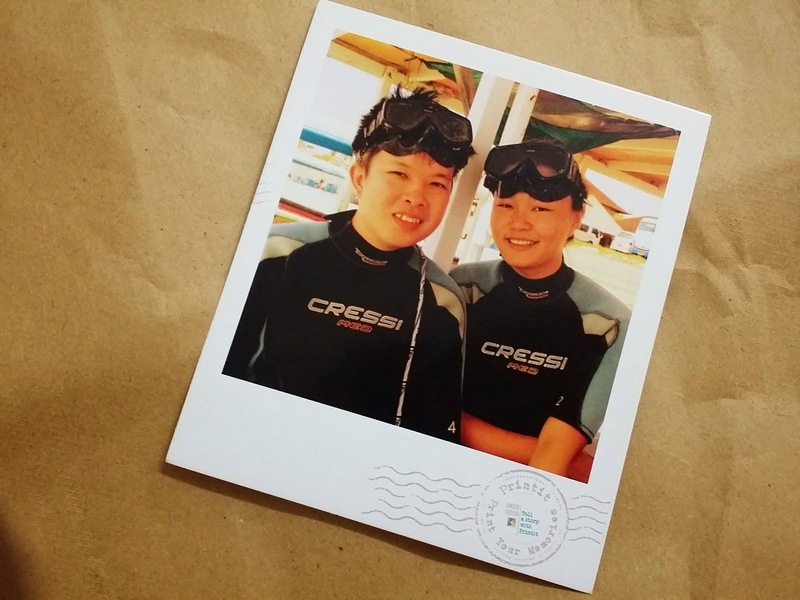 Our very first time diving in Tanjung Benua, Bali. Sweet moment to being together! I got to stick them on the wall. Maybe few years later, tons of beautiful memory may fill up the wall. 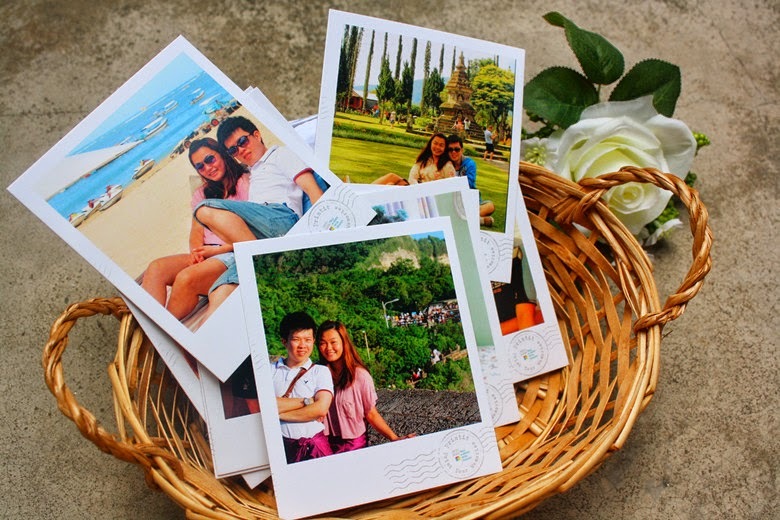 Besides, I also print some of the selfie photos with my sweetie into postcard types! Such a caring way to concern about your best buddies! Hope to send them some wishes and positive energy to surprise them. No matter how far away we are and no matter how busy we are, we will keep supporting each other whenever in need! This is how the back look of the post card, you may write your little wishes there before sending out! Last but not the least!Specially thanks you Printit for a wonderful Cash Voucher Giveaway! A RM5 Cash Voucher Rebate will be giving away to the first 10 lucky participant! 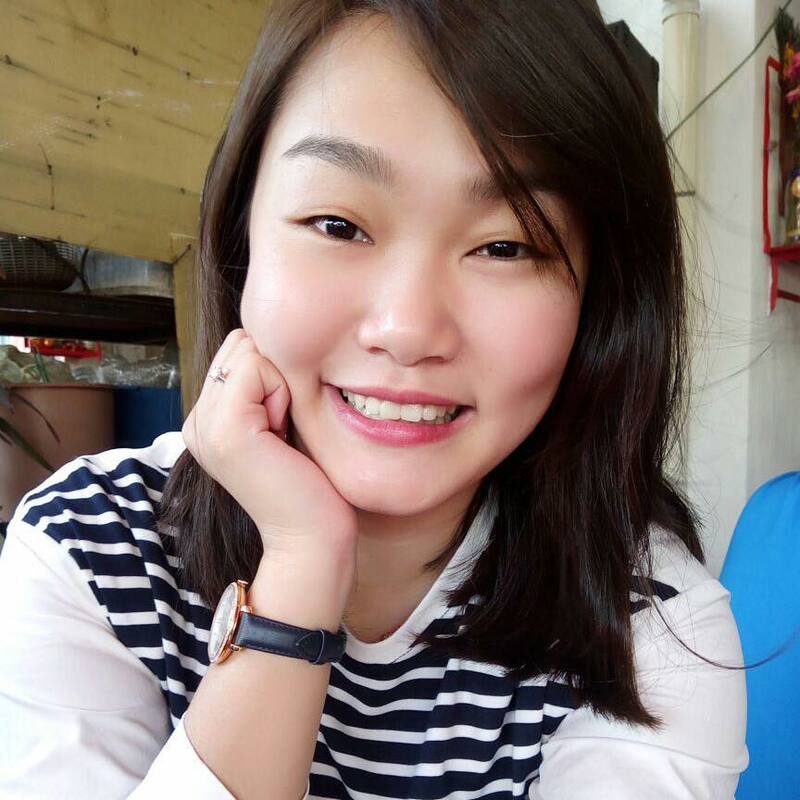 - Share this link on your Facebook with a title of " Printit - Print Your Memories "
- Paste your facebook link under the comment of this post and answering this "Which two types of new products is ready to launch by Printit on 1st of July 2014?" ! 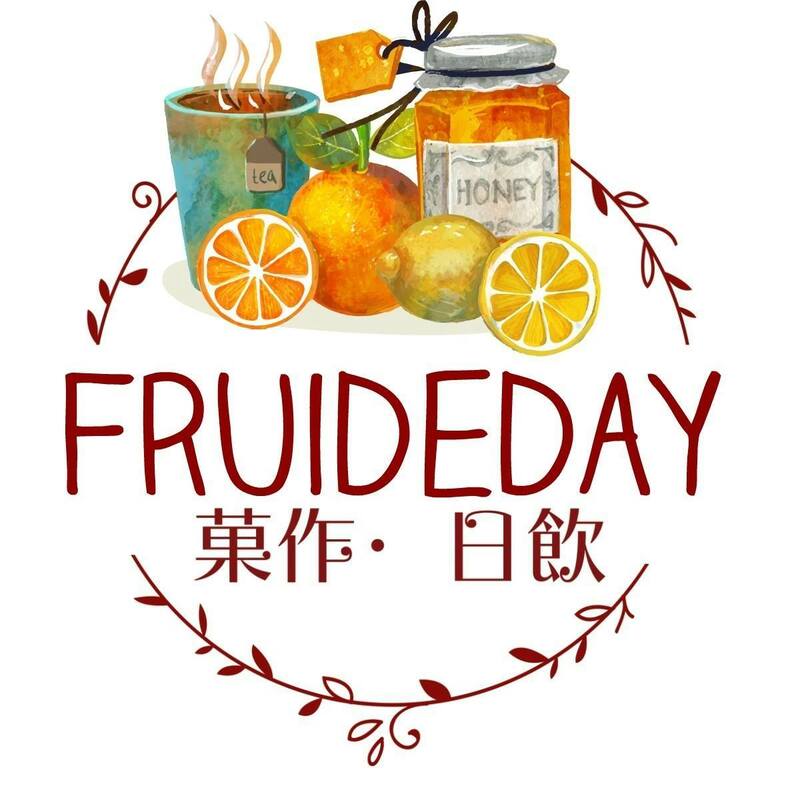 Come and join this giveaways with us!